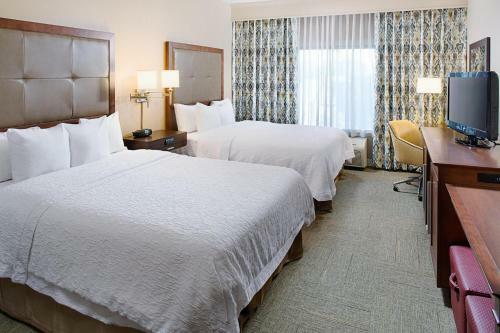 Off Interstate 35E and minutes from the shops, restaurants of nightlife of central Denton, Texas, this hotel features a free daily hot breakfast and signature in-room Cloud Nine beds. 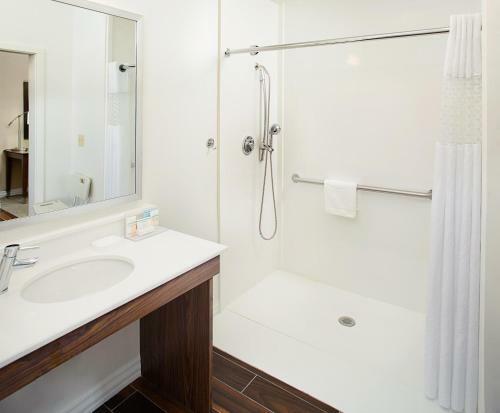 The Hampton Inn and Suites Denton offers a variety of amenities ideal for an enjoyable stay, including an outdoor swimming pool and modern fitness centre. 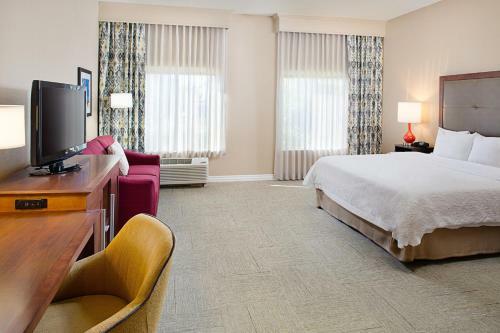 Guests will also appreciate free high-speed internet access and 24-hour coffee and tea service. 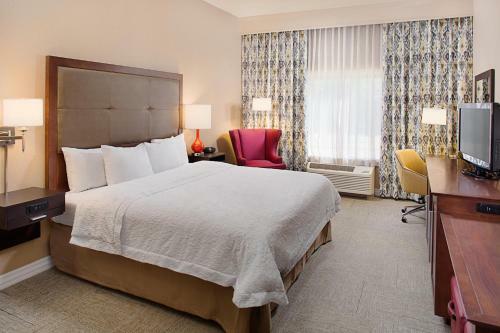 Local attractions such as the Golden Triangle Mall and the Bayless Shelby House Museum can be found only minutes from the Denton Hampton Inn. The Texas Motor Speedway and Water Works Water Park are also nearby. 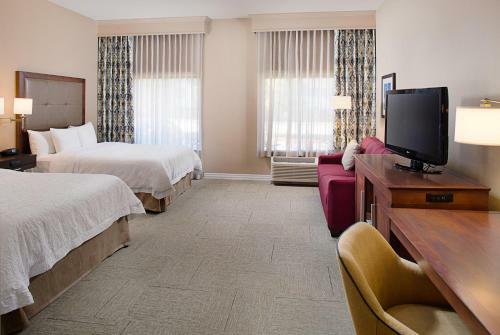 the hotel Hampton Inn & Suites Denton so we can give you detailed rates for the rooms in the desired period.